Increase your flexibility and get a fast return on investment with high-profit applications like POP displays, soft signage, customised wallpaper, interior decoration and vehicle wraps. Get outstanding image quality with 6-colour printing, up to 1200 dpi resolution and HP printing materials. Enjoy unattended productivity with two rolls as well as roll-to-free fall and roll-to-collector capabilities. 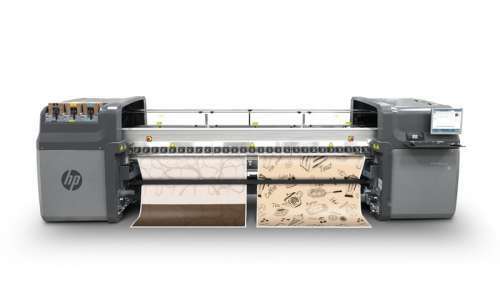 The HP Scitex LX850 Industrial Printer is a 126-inch (3.2 m) latex ink printer that delivers maximum versatility and productivity with multiple workflow features, including dual-roll, roll-to-free fall and roll-to-collector handling. 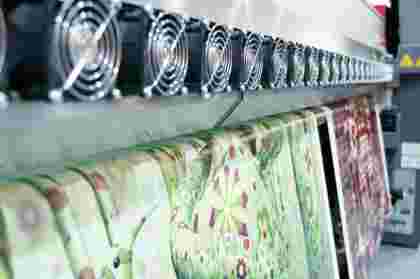 The printer also offers double-sided printing capabilities with minimal operator intervention for blockout banners and a built-in ink collector for direct-to-fabric printing on flag fabrics. Delivering high image quality with up to 1200 dpi resolution and an embedded spectrophotometer, the printer is designed to produce a wide variety of high-quality sign and display graphics, including event graphics, soft signage, vehicle graphics, POP displays, double-sided banners and outdoor signage. The HP Scitex LX850 Industrial Printer works together with HP LX610 Latex Scitex Inks, which produce rich blacks and glossy results on banners and self-adhesive vinyl. HP LX610 Latex Scitex Inks also offer display permanence and scratch, smudge and water resistance comparable to low-solvent inks and improved water resistance on fabrics. Alternatively, customers can install HP 3M LX600 Specialty Latex Inks to offer graphics backed by the 3M MCS Warranty, one of the most comprehensive warranties in the industry.